Built in 1995 this 1556 sf contemporary cottage - style home offer both morning sunrises looking out at Long Island Sound from the front-screened porch and evening sunsets from the back redwood deck overlooking Bradley Lagoon. This architect-designed home with abundant large windows presents views of Long Island Sound and Bradley Lagoon from every room. When you walk in the front the vaulted ceilings with gas-fireplace and large expanse of windows in the living room greet you. Open concept describes the kitchen with granite tops, gas cooktop/oven with a spacious walk-in pantry. There is a granite breakfast bar with stools and room for a dining table that seats many. The den/first floor bedroom walks out to the deck and yard facing Bradley Lagoon. A full bath just remodeled is attached to the den. Use this as a guest suite, master bedroom or in-home office. Upstairs offers a master bedroom plus an additional equally spacious bedroom and a contemporary tiled full bath with venting skylight. There is plenty of storage throughout. 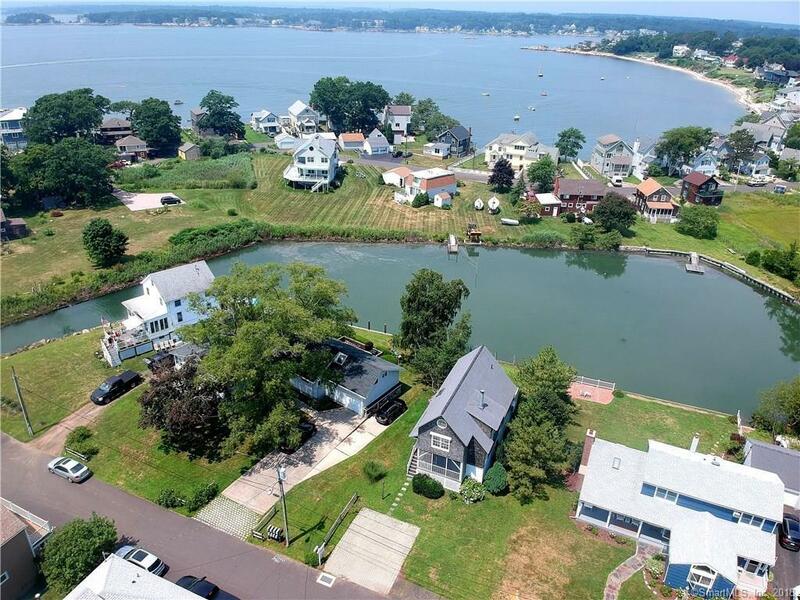 Outside offers access to the beach, Lagoon and Long Island Sound. Keep your kayaks, paddle boards and bikes because living here is all about being outdoors.